Next: The King is Back! 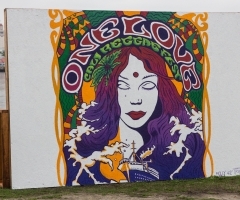 The Observatory Theater in Santa Ana, California has hosted amazing talent over the years, especially in the reggae genre! 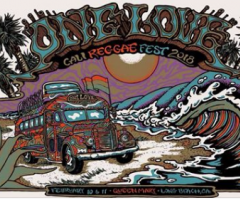 This year, however, the southern California venue has taken upon itself to host a festival like never before: a one-day all-ages reggae-palooze entitled the One Love Cali Reggae Festival on Saturday, February 13th 2016. With the doors opening at noon, it's going to be a long day of good vibes and great bands – 27 in number! 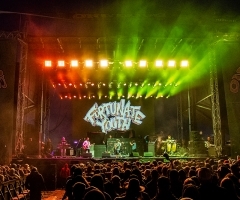 Rebelution is scheduled to headline the show, with direct support coming from gargantuan reggae names as well like Iration, Pepper and Tribal Seeds. Oh wait, then there's Stick Figure, Fortunate Youth, KRS-One (old school hip hop, anyone?? ), and Shwayze... And Hirie, Pato Banton, Wheeland Brothers, The Simpkin Project and Through The Roots. Oh and just in case you thought you might not recognize some of the bands, you thought wrong! Even MORE big names follow, like New Kingston, Katastro, Mike Pinto, One Drop, Leilani Wolfgramm, True Press, Iya Terra, The B Foundation, Perro Bravo, Tunnel Vision, Law, Just Chill, Sun-Dried Vibes, and Rising Son. Don't forget several dub club DJs in between sets to never let the vibe grow stale. 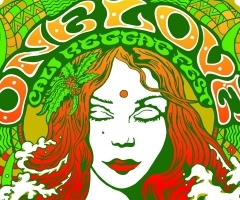 This isn't the first time an all-day reggae event has happened at The Observatory. That being said, this is the first instance that the concert house took a reggae festival to such magnitude and it will be interesting to see how it plays out with limited capacity. The doors are set to open at noon and again, all ages are welcome. Tickets are now available on www.observatoryoc.com, and because it's an indoor venue, make sure you get your tickets in advance before the festival sells out!